Make a fashion statement! Create a gate purse to match your special occasion dress or use a plain fabric for everyday wear. 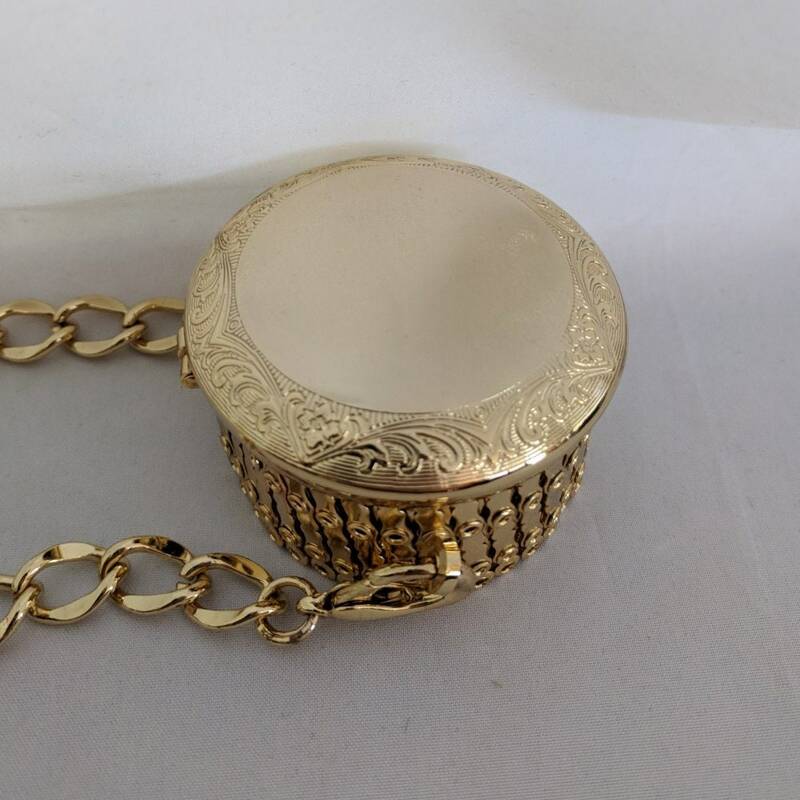 This unique purse frame has a round lid that serves as the "gate" to hold it shut. The top measures 2" so it appears small; however, It expands to 8" when open all the way. It has small holes for sewing a fabric purse shell onto the frame. The shell needs to have a ribbon edge or some other thin fabric at the top so that it will gather tight enough when the top is closed. 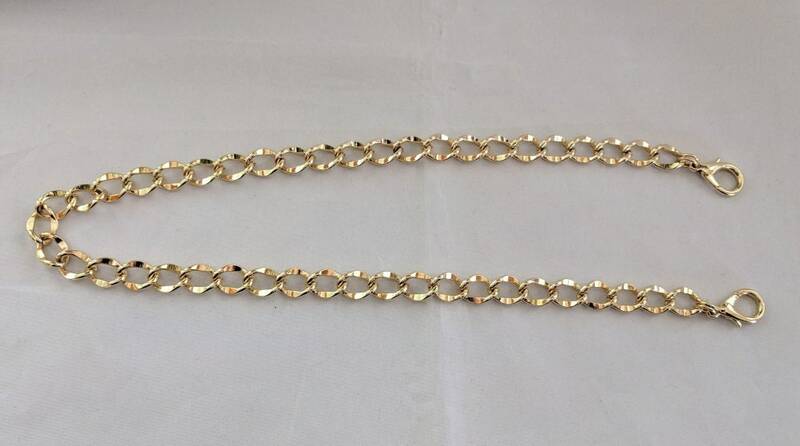 The heavy duty chain is 21" gold-toned steel with lobster clasp ends for attaching to the gate top. 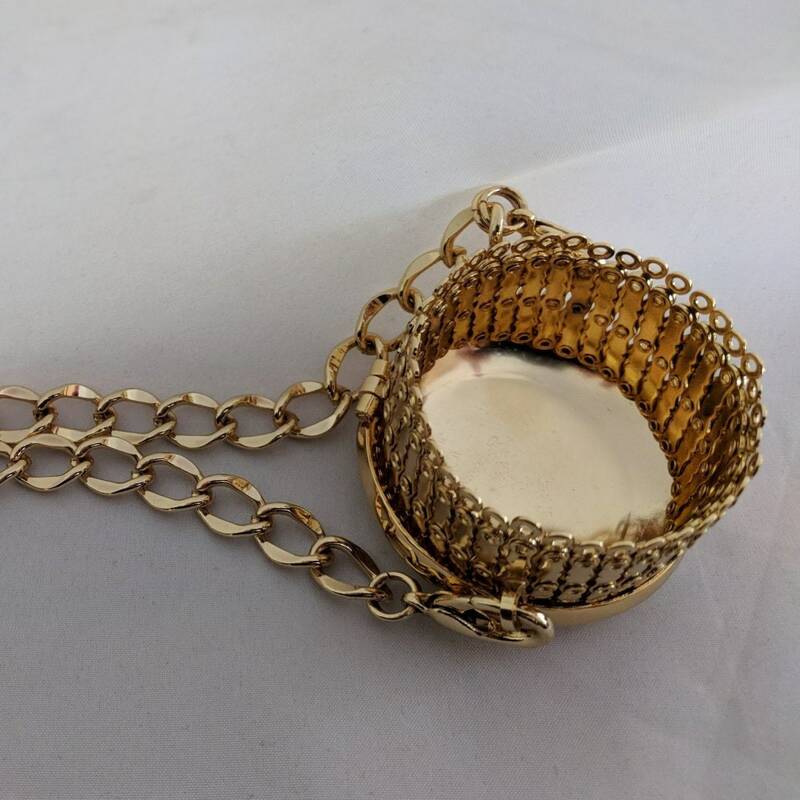 Current out of this style of purse frame. 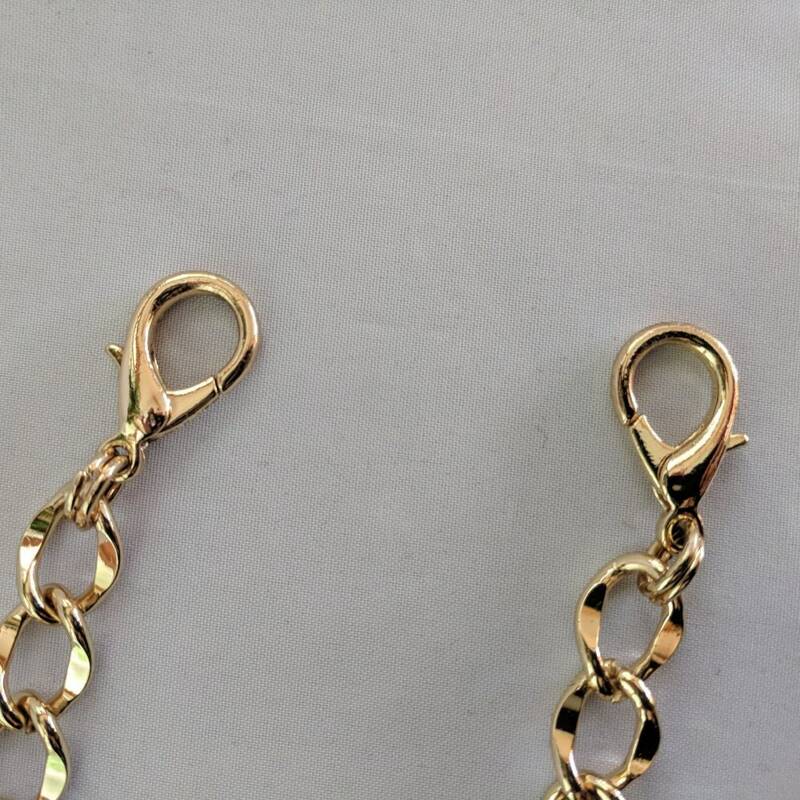 However, You can buy the chain without the purse frame! Framed purses date back to the Renaissance when some were very ornate, with huge clasps. This frame is less ostentatious but still dressy enough to be an excellent accessory for your prom, ball or court wear....OR you can make it plain for an everyday accessory. Make a denim one with a shoulder strap or chain to match your jeans!